The appetite for real estate development in revitalizing postindustrial cities seems to be insatiable. 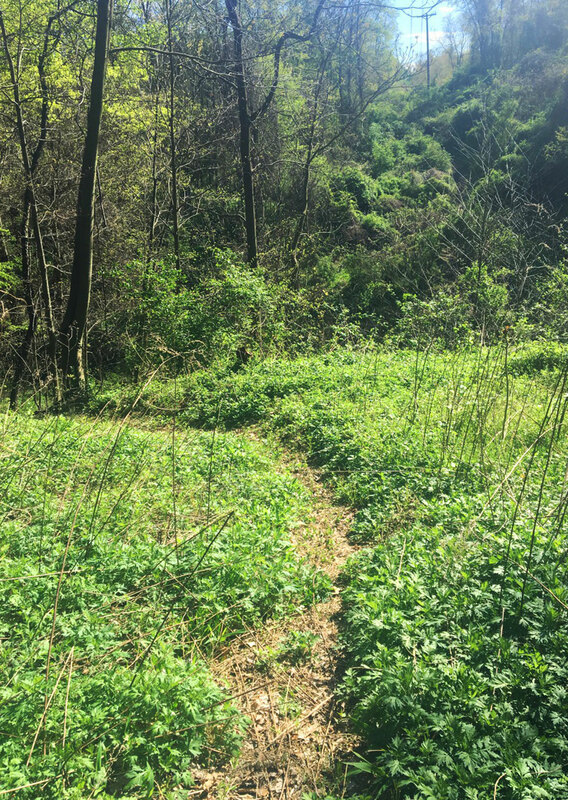 But in Pittsburgh, a task force is poised to recommend that the entirety of a 660-acre property remain parkland, despite calls from some to use a sliver of it for a residential development. Hays Woods would be Pittsburgh’s largest park if the recommendation of the 27-member Hays Woods Task Force is adopted by the city. And Mayor Bill Peduto, who called the land “one of the last areas for development of new single-family housing for the city,” supported the plan to put housing on a small portion of the site, but said he will abide by the task force’s recommendation, set to be released in April. 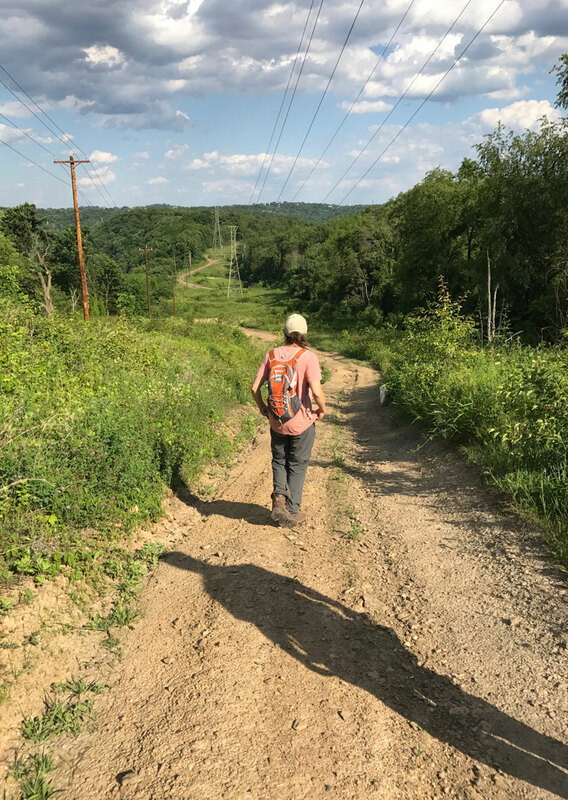 It has been a long time coming for Hays Woods, known by locals as “Forty Acres,” which spans the city’s Hays neighborhood between the south bank of the Monongahela River and adjacent Baldwin Borough. For most of the 1900s, it was owned J&L Steel and LTV Steel, which maintained a research lab on a small corner of the site. The property is still honeycombed with abandoned coal mines, and while mine subsidence and runoff remain a problem, people left the forest and its native ecosystem mostly undisturbed. In 2003, developer Chuck Betters purchased the Hays Woods property with the intention of strip mining most of the land and flattening it to build a horse racetrack and casino, with on-site housing and retail. He found opposition at the time from then-Councilman Peduto, who was one of two council members to vote against the proposal, and the only city official to speak out against the proposal at a Horse Racing Commission hearing. The state Department of Environmental Protection ruled against Betters’ mining permit in 2006, and the state’s Environmental Hearing Board affirmed the ruling in 2009, effectively sinking the project. Task force member and former Pittsburgh Mayor Tom Murphy said he remained in touch with Betters over the years, and not long after Betters’ PDG Land Development Group dropped its legal appeal in 2010, he approached Murphy with a desire to turn the land over to the city. Murphy then convened a group of nonprofit partners to start a conversation about how that might happen. Peduto said he started to have conversations about Hays Woods shortly after he assumed the mayorship in 2014. Those early discussions, he said, included meetings with the head of a local environmental organization, who proposed the land be donated to the city in exchange for Betters retaining fracking rights underneath the property, facilitated by horizontal drilling from well pads in neighboring Baldwin. 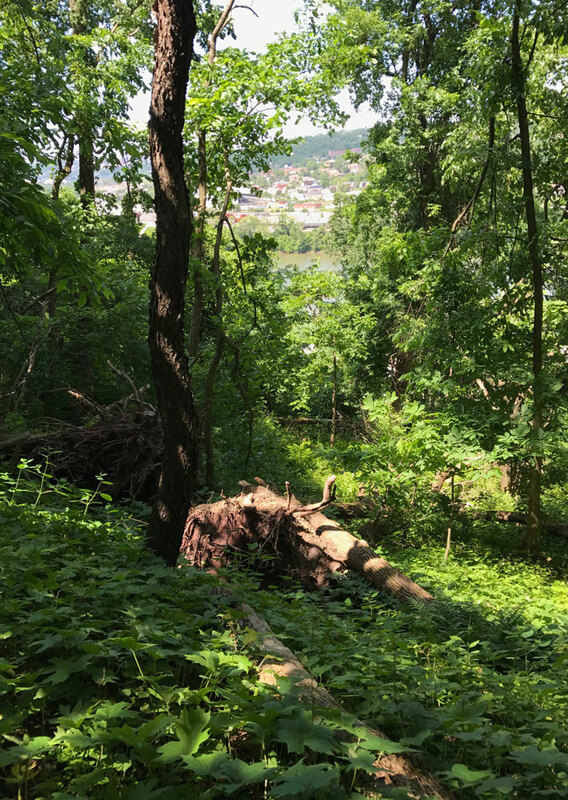 Peduto turned down that proposal, and in June 2016, the city announced it would purchase the 660 acres of deep brush and steeply wooded hillsides from Betters for $5 million, including mineral rights. In November 2017, over opposition from a few dozen attendees of a public meeting, the city’s Urban Redevelopment Authority voted to transfer 555 acres to the city while setting aside about 75 acres for development, something URA Executive Director Robert Rubinstein said was requested specifically by the mayor’s office, and it is still the authority’s intention to develop that portion of land. The URA has yet to transfer any of the 660 acres to the city. Task force members representing state, local, and nonprofit stakeholders have spent months developing guiding principles for the future park, including limiting site disturbance, planning within the region’s ecological and open space systems, prioritizing partnerships and community engagement, and establishing long-term funding to secure Hays Woods’ future as a city park. 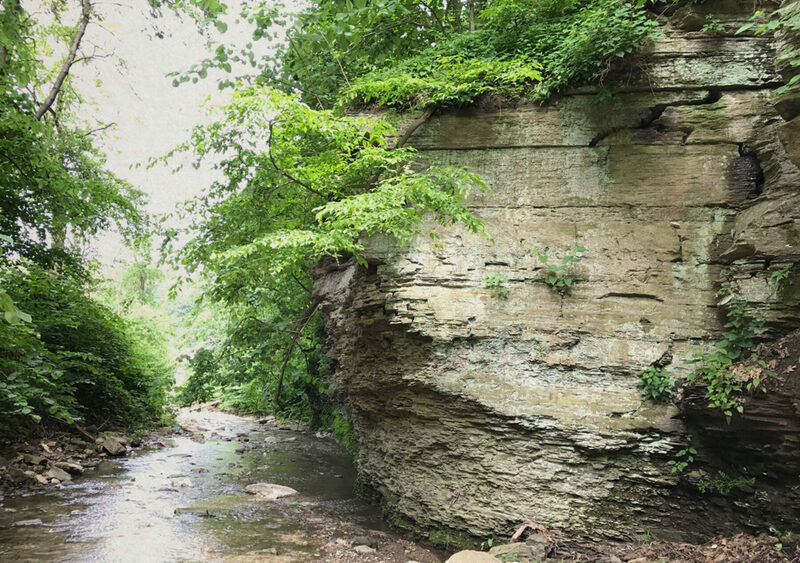 Critics of a residential development, such as task force member Kate St. John, of the Friends of Hays Woods advocacy group, argue that the property is filled with steep valleys and other impassable terrain. They say that retaining the relatively flat hilltop portion for development would effectively cut the navigable portion of the park by about half. Peduto said that any residential development would not be visible atop the ridgeline, and that in his vision it would not would not take up all of the roughly 75 acres set aside for development. “You’re looking at it as one of the last areas for development of new single-family housing for the city,” Peduto said. Despite his support for housing on a small portion on the site, Peduto says that he is committed to the task force process, and that he will abide by the report’s recommendation. Baldwin Council President Ed Moeller said that no one from the City of Pittsburgh has yet asked Baldwin Council to revisit the ordinance, and his concern remains construction traffic on and potential damage to Baldwin’s roads, something echoed by Baldwin Mayor David Depretis. Peduto says that it isn’t the director’s decision to make. 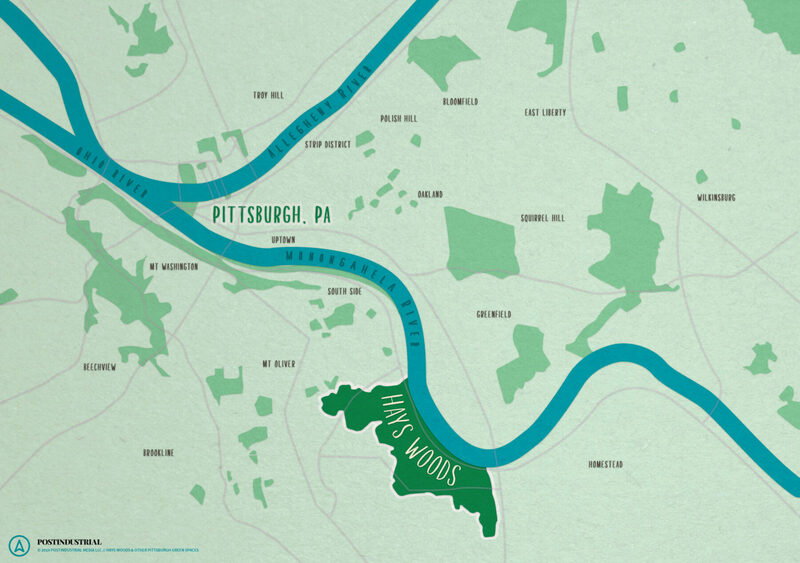 Today, Hays Woods’ dense tree canopy represents 35 percent (590.9 acres) of the core forest in the City of Pittsburgh. 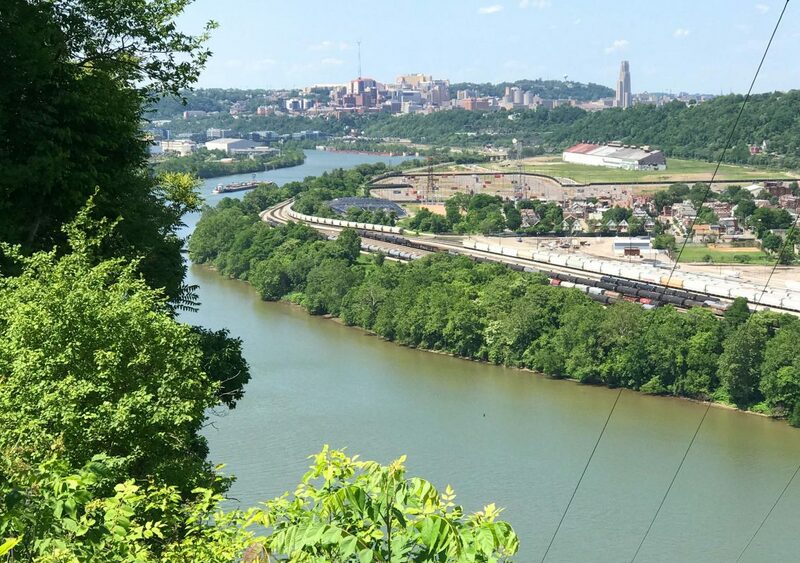 The task force reports that the City of Pittsburgh lost 6 percent (1,007 acres) of its tree canopy from 2011-2015, and notes that urban forest sequesters carbon, improves air quality, moderates stormwater runoff, and provides a habitat to a great many species. According to Cornell University’s eBird project, 98 bird species have been spotted at Hays Woods, 15 of which are identified as “Species of Greatest Conservation Need” by the state’s Wildlife Action Plan, including peregrine falcons, hooded warblers, and a nesting pair of bald eagles, the city’s first in over 150 years, whose popular webcam has attracted over 7 million viewers. Since April 2018, Murphy and City Councilman Corey O’Connor have overseen the task force, charged by Peduto with developing a vision of the future city park for generations to come. Its report is being finalized, and public feedback meetings will begin in early April before a final report is issued to Peduto and Pittsburgh City Council. The first meeting will be held Wednesday, April 3, at 6:30 p.m. at Holy Angels Parish in Hays. On most issues, all parties seem to agree: Hays Woods will be a passive park, a “living laboratory for urban forest conservation and climate resiliency,” criss-crossed with a network of plunging trails and dotted with not much more than a few benches, picnic groves, and a visitors center. A soaring ridgeline will afford parkgoers views of the surrounding valleys, neighborhoods, and the city skyline in the distance. Brian Conway is a freelance reporter based in Pittsburgh. His investigations into the city's lead in water crisis earned him First Prize for Environmental Reporting from the Keystone Chapter of the Society for Professional Journalists in their statewide Spotlight contest. 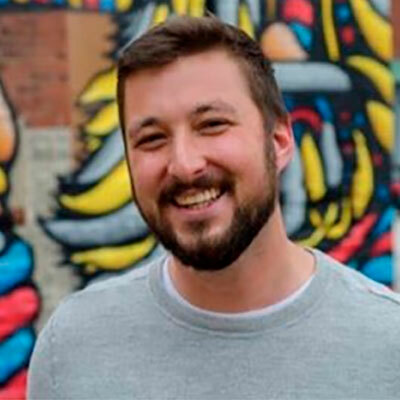 In addition to investigative and enterprise reporting, he also covers Pittsburgh's music, craft beer, and cannabis scenes for a variety of publications, and is a member of the Work Hard Pittsburgh digital media cooperative. Follow him on Twitter and Instagram. Yale Environment360 // Gary, Indiana, and other cities dealing with industrial economic decline have turned to green infrastructure and green spaces to catalyze economic recovery. This article, from two years ago, shows how a city similar to Pittsburgh dealt with decision-making challenges around green spaces. CityLab // CityLab provides several analyses about the benefits of urban parks, like their impact on health and the reduction in crime. The Atlantic // An interview with Galen Newman, a landscape architecture and urban planning associate professor at Texas A&M, discusses why cities in the Midwest and Rust Belt regions should embrace their decline and turn to development for revitalization. US News // This analysis, from last fall in Fort Wayne, Indiana, looks the importance of riverfront development in a handful of cities across the Rust Belt, and examines how supporting the creation of healthy development and green spaces can change a city’s economic scene. National Geographic // The latest edition of National Geographic explores ‘cities’ as a theme, and reimagines how nuanced development that prioritizes green space can result in dramatic social, economic, and environmental changes. Also, check out their photo gallery of industrial spaces turned into parks. Tree Pittsburgh // Read through Pittsburgh’s first Urban Forest Master Plan, which offers an analysis of the tree canopy coverage in Pittsburgh — and looks at all the benefits trees and parks provide — as well as detailed information and recommendations to manage and grow the city’s green spaces.